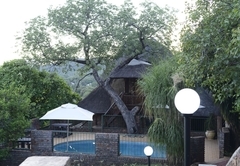 Maroela Guest Lodge is one of the Thabazimbi guest houses and provides accommodation in 7 guest rooms for tourists visiting the Waterberg region. 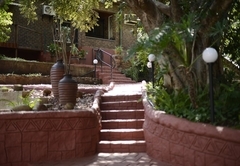 Maroela Guest Lodge offers accommodation in Thabazimbi and offers exclusively furnished rooms with FREE Wi-Fi and secure parking. 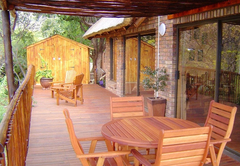 Come and enjoy the peace and quiet of the Bushveld while watching the sunset from the wooden deck. Maroela Guest Lodge has B&B rooms each equipped with air-conditioning, a desk, bar fridge, a TV with DStv and a tea / coffee station. The establishment has a swimming pool. This room has a Queen-size bed with a full en-suite bathroom (bath and separate shower). 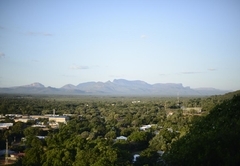 The room has lovely views over the Waterberg Mountains. This room is furnished with a Queen-size bed and has an en-suite bathroom (bath and separate shower). The balcony boasts views of the mountains. Boasting lovely mountain views this room is furnished with a Queen-size bed and has an en-suite bathroom. This room has a Queen-size bed and an en-suite bathroom with a bath and separate shower. 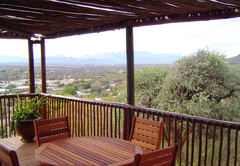 The room has immaculate views of the Waterberg Mountains from the balcony. This room has a Queen-size bed and an en-suite bathroom with a shower only. The room has a pool entrance and beautiful views. This room is furnished with a Queen-size bed with a full en-suite bathroom. The room has a garden view and a private balcony. 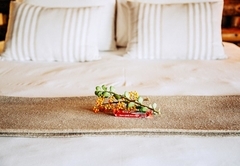 Furnished with a Queen-size bed, the room has a full en-suite bathroom and a private outside area. Breakfast is served each morning and is included in the rates. This room has a Queen size bed with en-suite bathroom (bath and separate shower). 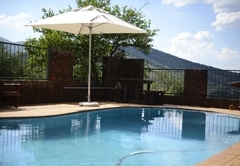 The room has immaculate views over the Waterberg mountains with private balcony. 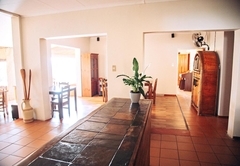 Consisting of bar fridge, tea & coffee making facilities, TV with DStv, desk and Wi-Fi. This room has a Queen size bed with en-suite bathroom (bath & separate shower). 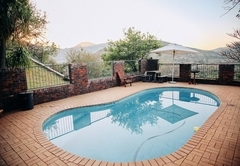 The room has immaculate views over the Waterberg mountains with entrance from balcony. 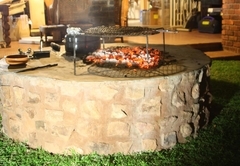 Consisting of bar fridge, tea & coffee making facilities, TV with DStv, desk and Wi-Fi. This room has a Queen size bed with en-suite bathroom (shower). The rooms has a pool entrance and beautiful views. 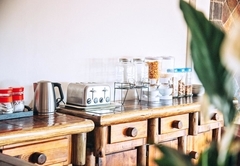 Consisting of bar fridge, tea & coffee making facilities, TV with DStv, desk and Wi-Fi. This room has a Queen size bed with en-suite bathroom (bath & separate shower). The room has a garden view with entrance from a private balcony. Consisting of bar fridge, tea & coffee making facilities, TV with DStv, desk and Wi-Fi. This room has a Queen size bed with en-suite bathroom (bath & separate shower). The room has it own entrance with outside area. Consisting of bar fridge, tea & coffee making facilities, TV with DStv, desk and Wi-Fi. 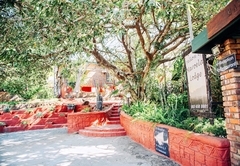 Response timeMaroela Guest Lodge typically responds to requests in 5-10 minutes.